The High Court has held that where a court orders discovery it has the powers necessary to permit a party to correct a mistake to deal with inadvertent disclosure of discovered documents. In Expense Reduction Analysts Group Pty Ltd v Armstrong Strategic Management and Marketing Pty Limited i the parties had been ordered by the New South Wales Supreme Court to give verified discovery. 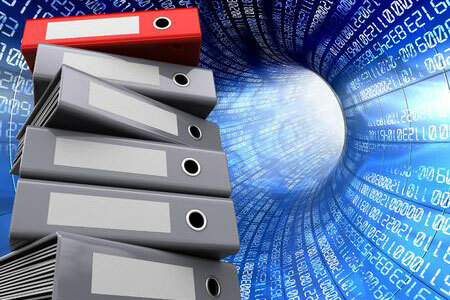 The documents were managed by database systems used by the parties’ lawyers. The law firm for 5 defendants (in the main proceedings) mistakenly sorted 13 documents in the database, which were subject to legal professional privilege, into the non-privileged section of about 60,000 discovered documents. As a result soft copies of these documents were then disclosed to the lawyers for the plaintiffs, who refused to return them on the basis that by disclosing the documents privilege had been waived. The High Court in a unanimous judgment rejected the reasoning of both the NSW Court of Appeal and the decision at first instance. The High Court referring to Mann v Carnwell, stated that, ‘the courts will impute an intention where the actions of a party are plainly inconsistent with the maintenance of the confidentiality which the privilege is intended to protect’ ii. And, that it is considerations of fairness which inform the court’s view about an inconsistency, which may be seen between the conduct of a party and the maintenance of confidentiality, though ‘not some overriding principle of fairness operating at large iii.’ The question is whether the client or party concerned ‘has acted in a way that is inconsistent with the client or party objecting to’ the production of a document iv. The fact that 9 of the documents were listed in both the privileged and non-privileged sections of the Lists of Documents was, according to the High Court, strongly indicative of mistake. Further, once the law firm was made aware of the disclosure, the partner wrote promptly informing the other law firm that the privileged documents had been incorrectly listed as non-privileged. The High Court found that the circumstances were not indicative of an inconsistent position being taken by the parties’ lawyers such that waiver should be imputed to that party. Further, the High Court stated, ‘[t]he issue of waiver should never have been raised v’. The High Court observed that ‘the process of discovery has assumed large proportions in some cases and become increasingly burdensome is well known’ and that mistakes are more likely to occur in large litigation vi. Reference was made to Lawrence Collins J’s observation in ISTIL Group Inc v Zahoor that ‘[t]he combination of the increase in heavy litigation conducted by large teams of lawyers of varying experience and the indiscriminate use of photocopying has increased the risk of privileged documents being disclosed by mistake vii’. In particular, the court ought to made orders permitting the law firm to amend the list of documents and for the disks be returned to that law firm, to enable the privileged documents to be deleted. When will a mistake not be corrected? The Court stated, in taking such considerations into account, no narrow view is likely to be taken of the ability of a party, or the party’s lawyers, to put any knowledge gained to one side, unless the documents assume particular importance viii.